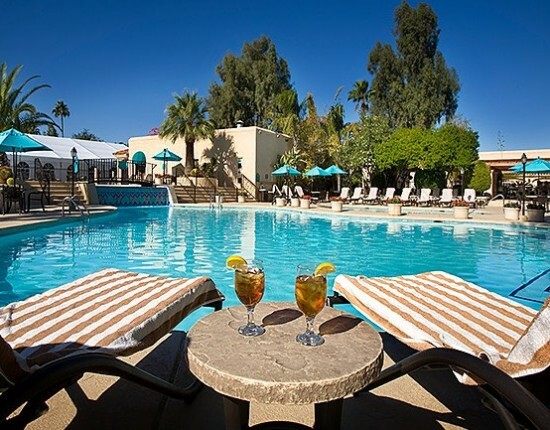 Our incredibly convenient location puts you in close proximity of the Phoenix Sky Harbor International Airport, Old Town Scottsdale, the McCormick-Stillman Railroad Park, OdySea Aquarium, Salt River Fields and other exciting area attractions. With five heated swimming pools and hot tubs, a 24-hour Fitness Center with studio classes, a full-service Salon & Day Spa with infrared saunas, two lighted tennis courts, and a private putting green, it’s easy for you to stay active. Start your day strong with breakfast at the Garden Court, enjoy poolside sips and snacks at Cafe Cabana, cheer for your home team at JD’s Sports Bar & Lounge, and stop by The Market for grab-n-go goodies. We offer in-room dining, too! From the bellman who whisks you to your room on a zippy golfcart, to the poolside bartender crafting your piña coladas, to the friendly shuttle driver, our staff members love putting a smile on your face. With some of Scottsdale’s most spacious rooms and suites, you and your pets are guaranteed to feel right at home. Beehive fireplaces, scenic balconies, and private garden courtyards for outdoor dining are just a few of the special perks.